I’m not sure if I’ve mentioned Greg’s strong fondness for Clorox, but if I have it’s worth mentioning again anyhow. The boy has a real funny relationship with it. In the moment, it’s pure love and adoration for its superior whitening abilities. An admiration so strong that it matches the strength at which Greg applies it – which is basically at full, concentrated levels. On the other side of the cleaning tryst though, Greg is always left with some unnecessary, physical ailment. Burning lungs, and raw hands seem to be the regulars. 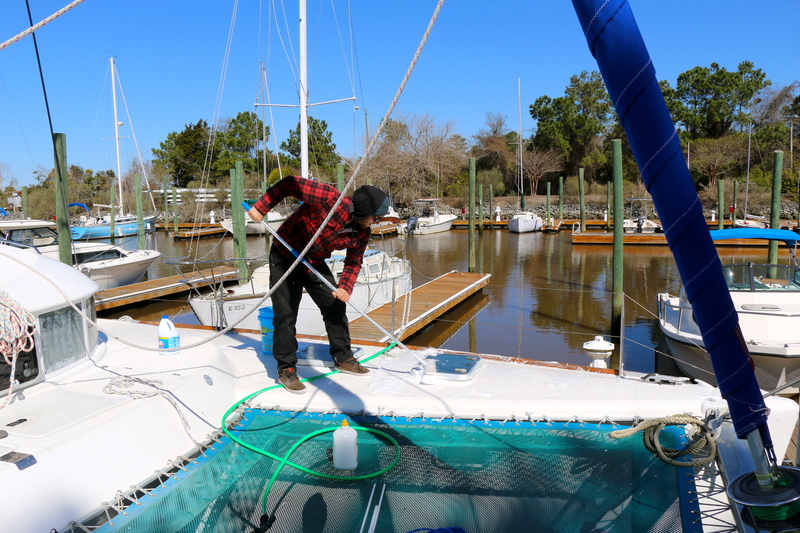 I’m sure tomorrow will be much of the same love lost, but we will have a THE whitest, cleanest boat in the marina. 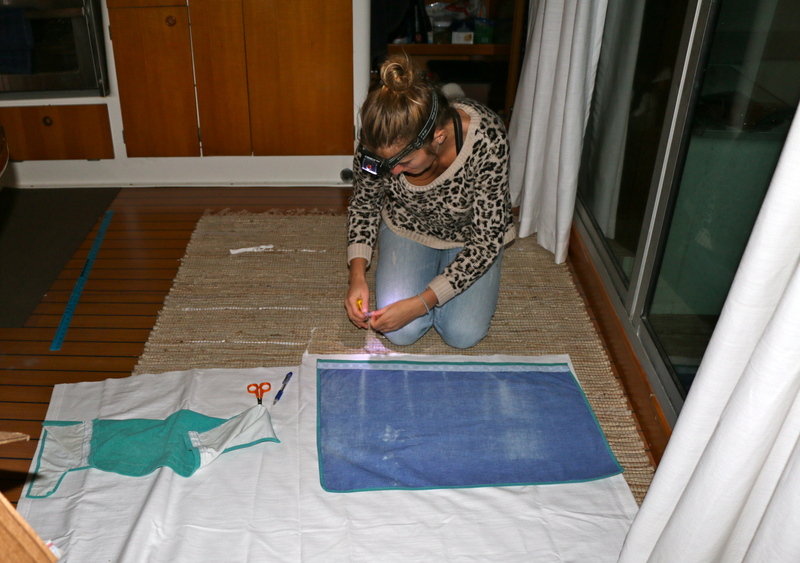 And to go along with our white boat, I’ve been busy making white curtains to replace the teal ones inside. Hey Grams! Glad you figured out how to use the website better and can keep up with the adventure! Everyone should be back soon, and were always thinking about you! Happy Early Birthday and I will give you a call either today or tomorrow! Did u pick up another one of moms shirts when u were there? You guys r doing a great job, keep up the posting! Thanks Shea! And nope that animal print is all mine. Ha.